I don’t know at which point I became hooked, absorbed and then engrossed with science fiction – but growing up during the glory years of the space-race it was difficult for a boy from the northern suburbs of Birmingham not to be so smitten. Where the entry-point stood between all the Famous Five staples, the Secret Seven canon and being auditioned into collected short-stories of Robert Heinlein, SF compilations and Isaac Asimov I can’t say. But it carried me along, filled long adolescent hours and smashed concepts and visions into a mind hungry for alternative possibilities with a force that could leave me stunned for days. The utopian (and dystopian) futures of Clockwork Orange, Fahrenheit 451, 1984, Brave New World and – the most special of all – The Chrysalids – were some years in front of the 12 year-old comprehensive schoolboy desperately sitting cross-legged on the floor of the school gym watching the blurred black and white screen of the school TV (yes ‘the’) waiting for the launch of Apollo 11 for the first moon-landing. We visibly deflated at news of the launch delay which meant the start of afternoon school would begin and we’d have to return to lessons. I sat listless in an English lesson feeling that history was happening and these stupid adults were anaesthetized to it. Momentous. Earth-shaking. Space-reaching. But afternoon lessons were driven into remorselessly. As my watch ticked towards the new launch slot trying to image the scenes taking place without us I could hardly believe that the teacher was asking for someone to take a note to the school office. Had my disappointment shown? Was he aware? Was I just lucky? What I do know as I stood hush-breathed alone in the school gym, me, the TV and the monstrous Saturn V rocket – that I was a witness to history being made in the white and grey flecks. Back in the classroom I hissed with barely concealed containment to my friend in the seat next to me: “I’ve seen it!! I’ve seen it take off! They’re on their way to the moon!” Whether the note ever got delivered, I forget. But we delivered humanity to a new epoch and I’d been the sole witness in my entire school. It was like carrying a rare treasure; the tribe’s fire – between the past and the future. So – yes, I was anointed into the visions of future worlds, alien skies and, more importantly, the dilemmas, quandries and moral perplexities of alternative vistas. It didn’t take long to realise that science-fiction was a mirror to reflect our own contemporary condition – a wonderful creative laboratory for experiments that tested theories of philosophy, morals, ethics, religion and no religion, culture, politics and what it is to be human. Sociology, animated in full spectacular colour that sometimes left you gasping with exhilaration at having your mind exposed to a novel concept for the very first time. Some return to me now and again; some have never left me. 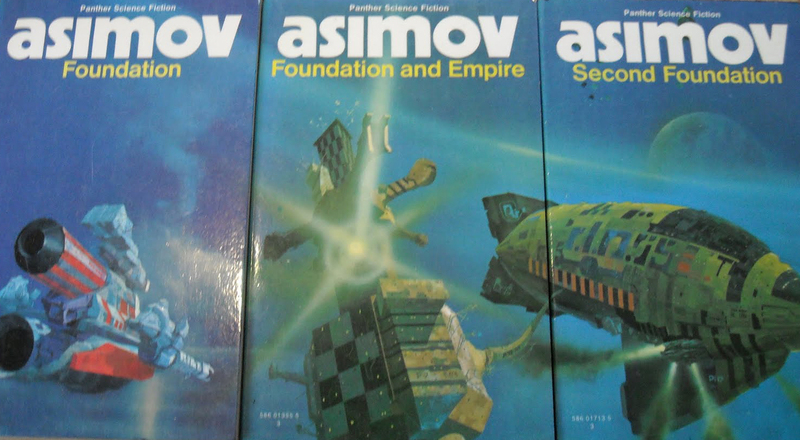 And the one I keep reflecting on at present is the Foundation series by Isaac Asimov. No spoilers – but to precis, the Psychohistorian Hari Seldon has calculated the epochs of history flow to a wavelength of 30,000 years – the times between rising empires and decline into delinquency (so similar – geographers – to Milankovitch cycles of Ice Ages, written 10 years previously). He has calculated the galaxy is about to descend into a period of decline and fall. But… he has founded a plan to reduce the next period of decline to just 1000 years before a new ‘Foundation’ will arise, limiting the Dark Ages of austerity, poverty and violence. He posits that civilization will re-ignite in that goldilocks zone between those planets with plenty – and those with too little, and sets up the renaissance on a planet with just enough key resources – but in shortage. His concept is that force of necessity will lead the inhabitants to produce and use more efficiently, more deliberately, more intelligently. And so it transpires. (Though there’s more…lots more). I have recoiled to this planet on many occasions over the 40 years or so since I first encountered it. As times become tough, as setbacks are bruisingly absorbed I’ve found that it has provided a touchstone to rest, revive and push off from – using what resources there are to become resilient – and advance again. The current education scenario feels much like the warfare raging amongst the larger beasts of the galaxy. Michael Gove seems almost Trotskyite in his belief in continual revolution. If it’s not an Ebacc, it’s an EBC, or A level reform, or pensions reform, or…. And I go back to the Foundation point and think, we can survive this, we can absorb, and we can come out the stronger. We will endure because we have strength in our collective sharing, application of intelligence, innovation and – our biggest ace – our humanity. There is a Danish economist we study at A level in Geography – Ester Boserup, who proposed that humanity’s greatest advances took place under conditions of pressure and stress. We invented farming, settled communities, ignited agricultural revolutions… when forced to do so by circumstance. Human progress occurs, not as a gradient but a series of steps when the pressures consolidate. It is then that we are forced to shift the paradigm, innovate and make the leap to a higher level of proficiency. That, I think, is what we – in education – are doing now. The pressures have built, the critical mass has accumulated – and we are emerging into a revived stage of consciousness, resilience and richness in pedagogical sharing. I rarely have time to read science fiction novels now. But I seem to have passed it on in the genes. 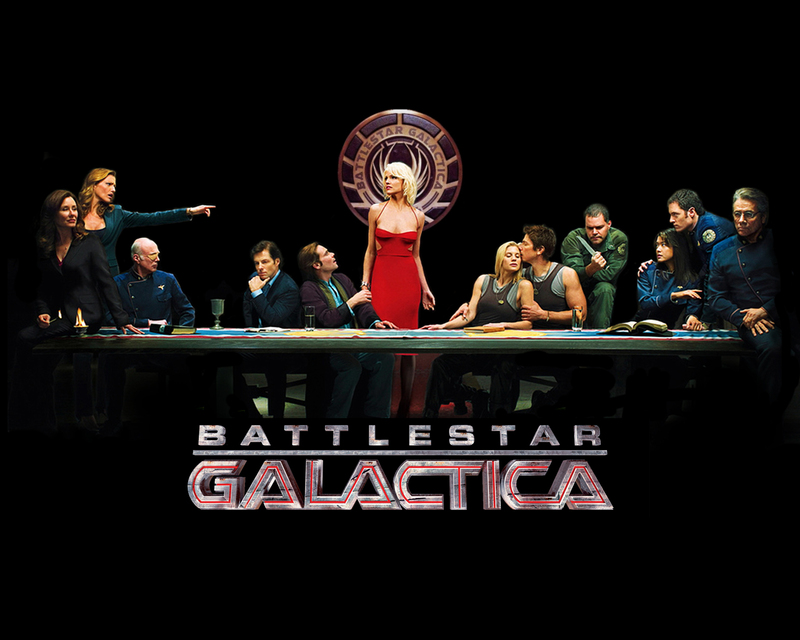 My two, then teenagers, urged me repeatedly to watch Battlestar Galactica. With memories of the fey 1970s series I declined. They insisted. I weakened. I watched. I was absolutely enthralled. If you want a commentary on US foreign relations in the last 15 years, if you want your concepts of politics, ethics and morals challenged, if you want a damn good story of space – get the box set and devour. Thank you Isaac. I retain faith in the future; I continue to promote faith in the future. 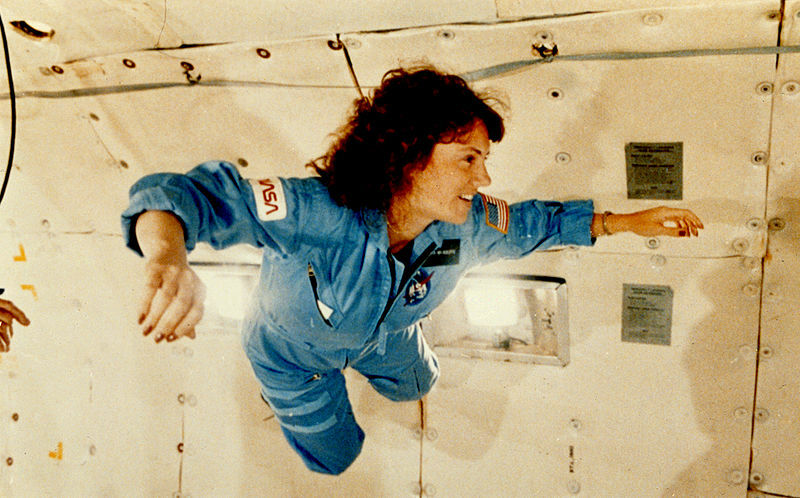 In the words of the teacher who expired on board the spaceshuttle Challenger, Christa McAuliffe : “I touch the future; I teach”. It comes full circle.